New pictures over in Crafts! As I continue to battle this damn cold (I haven’t produced this much crunchy phlegm in a good long while), I was able to do a bit of crafting and took some photos of a few recent projects of mine: a seiza bench and an aspergillium. Since I often sit in seiza position during meditation, prayer, and rituals, I thought it would be nice to craft a little bench which could be used to take pressure off my legs and keep blood circulating. 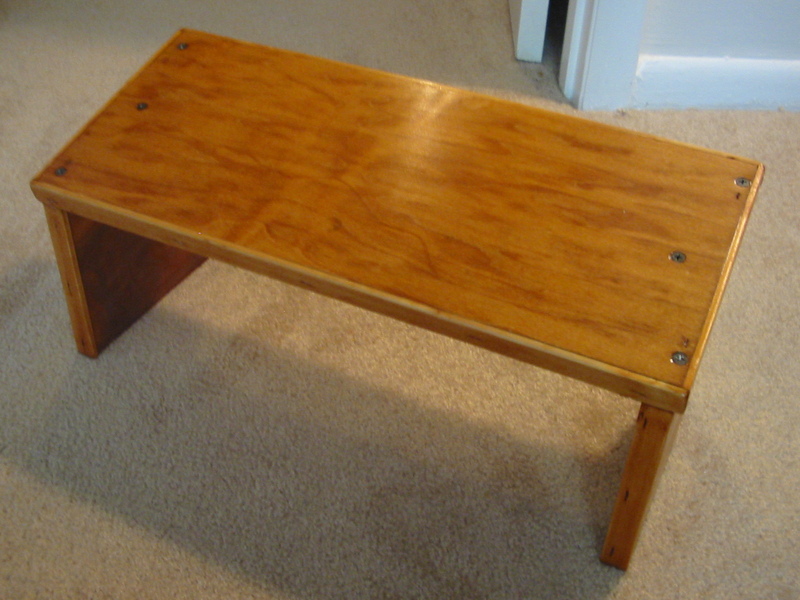 Enter my new seiza bench, based on this design from Michigan Buddhist. It was a day project my father and I worked on while I visited my parents’ over Memorial Day weekend this year. He had the furniture-grade plywood, pine siding, and tools, and I had the plan and the willingness to make it. Once I got home and had the time, I busted out the stain and finish and touched it up as necessary. As a side note, my dad is completely awesome. I also made a simple aspergillium (or asperger), a tool used to sprinkle holy water around. 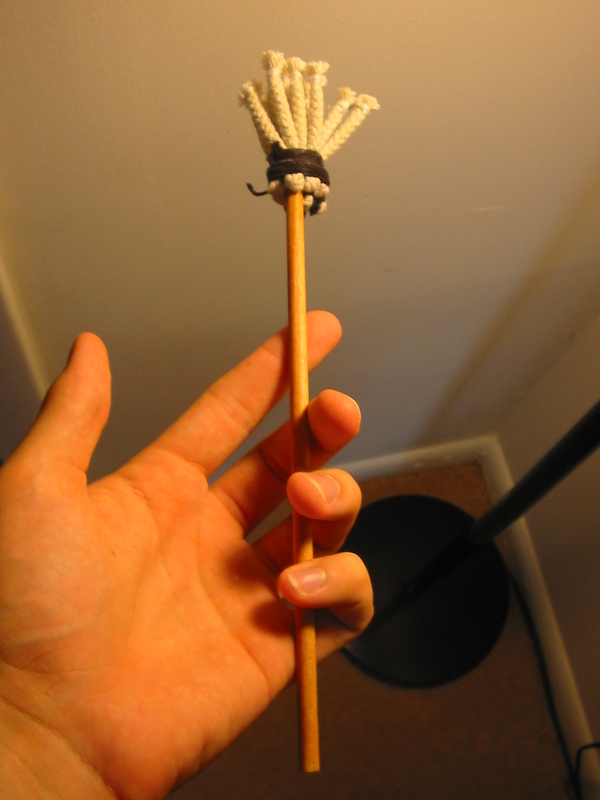 Church-style ones are often have a hollow container with holes on the outside and a sponge on the inside, but this is an older-style besom-like one that was simple to craft. Plus, I don’t have to flick water around with my fingers anymore, which is nice. I took the nylon heart out of some cotton rope, cut the rope into eight parts, folded over each part and tied some twine around the fold, tied each loose end of each rope to prevent fraying with more twine, bound all of the folded ropes together very tightly, then jammed a sharpened dowel into the bundle. It holds together nicely and does its job, though I wasn’t following any particular design or style. 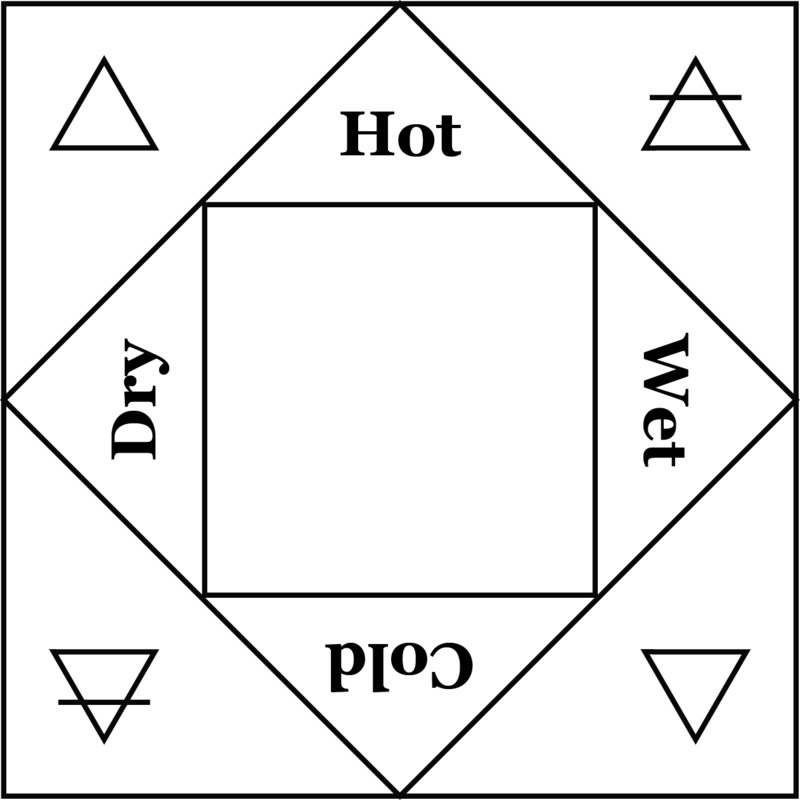 I may get around to making a real Solomonic aspergillium, once I get to that stage, but this suffices for now. More pictures up in the Crafts section, if you’re interested.